Around 20 gardaí are conducting the latest cold case inquiries. GARDAÍ HAVE BEGUN house to house inquiries on Valentia Island off Kerry in a bid to obtain information on the Kerry Babies murder case. Over 33 years ago, an infant boy was found dead with multiple stab wounds on White Strand beach in Cahersiveen, Co Kerry. What followed was a murder case and tribunal which concluded that Hayes was not the mother of the baby on the beach in Cahersiveen, but was the mother of a baby whose body had been found on her family farm. At a press conference at the start of this year, gardaí confirmed that a formal apology has been offered to Joanne Hayes for the stress and pain she was put through as a result of the original investigation. 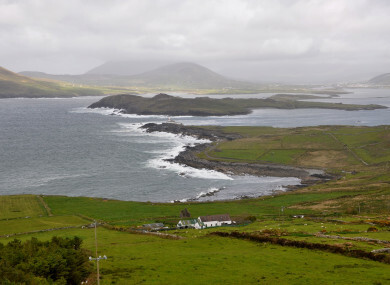 Today, it emerged that gardaí are conducting a house to house canvass on Valentia Island. Approximately 20 members – both uniform and detectives – are undertaking the canvas. Valentia Island lies just off the mainland and from White Strand Beach. The canvass is expected to last for the next couple of days. There is no specific line of enquiry in Valentia other than proximity to White Strand. Gardaí said other areas in the future may be targeted for specific canvas. Speaking today, Superintendent Flor Murphy of Killarney Garda Station said: “The investigation into Baby John is continuing. Significant work has been undertaken since January by the local investigation team supported by the Serious Crime Review Team. Over 9,000 investigative hours have been expended on the investigation and 225 separate lines of enquiry are being actively progressed. Selective DNA sampling is ongoing and this is a key focus of the investigation. “The investigation is still appealing for information from the public. We still believe that members of the community in South Kerry have information about the identity of the mother of Baby John. Baby John lived for five days so someone, somewhere knows about his very short life. “Someone is Baby John’s mother. Someone is Baby John’s father. Someone knew his mother or father. People have carried a lot of pain and hurt over the last 30 years. This is an opportunity for them to help bring closure to this terrible event and ensure that Baby John receives justice. “Even the smallest piece of information could be of major assistance to us. Anyone who comes forward will be treated with sensitivity and in the strictest of confidence. We have specially trained personnel available who are trained in dealing with difficult and sensitive issues in a compassionate and professional manner. “After all these years, Baby John deserves the truth. Email “'After all these years, Baby John deserves the truth': Gardaí going door-to-door on Valentia Island”. Feedback on “'After all these years, Baby John deserves the truth': Gardaí going door-to-door on Valentia Island”.